1 5 Effective & Best Ways to Burn Calories by Cycling. 1.5 5. How about biking before breakfast? 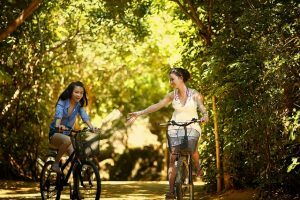 “5 best way to burn calories by cycling!” The thought of burning calories poses fear in the individual intending to lose weight. However, you shouldn’t fear it because some activities will help you burn calories without even realizing. Don’t get me wrong, it’s sure not easy but they are fun activities. Swimming, boxing, dancing, playing, running on a treadmill and cycling are just a few fun ways to burn calories. If you want to burn the calories, cycling is your effective starting point. Remember, burning calories require that you reduce the number of calories you take in as you exercise to burn more. The article focuses on 5 ways to burn calories using a fun activity-cycling. 5 Effective & Best Ways to Burn Calories by Cycling. To burn calories effectively, drop that car. I know most people won’t agree with me on this. While driving a car is luxurious and a quicker way to get to the office, it does you more harm than good. Biking, on the other hand, strengthens your core muscles, helps you lose weight and burn calories. Using a bike to commute to work makes you burn more calories in a day especially when you use it to go to and from work. You can use the bike for the short and long-distance ride alike through your day. The best part is that you burn calories without even noticing. Note, you don’t want your body to get used to the route you use to work. Change the routes every so often for a power challenge. If you have a short and flat road commute to work, biking may not be as effective. While riding is fun for some and they don’t need motivation for it, others need it. There are days you won’t feel like riding but when you join a riding club their desire to keep on will strengthen you. Finding a group of like-minded people encourages you on the tough days. You have a goal to burn the calories and unless you push yourself, reaching that goal is a dream. Your riding club comes in handy when you need to work harder and go beyond your comfort zone. Go for a group that will challenge you to be faster, ride longer or be stable on rough terrain. This group will also ensure you are consistent. Honestly, you can’t ride your bike once or twice a week and expect to burn calories. You must dedicate yourself to the activity for days and weeks before noticing the body change. So instead of taking a very long stretch once a week, you may distribute the riding hours through the week. Another “Best way to burn calories cycling” is to change the routes. If you make it a daily routine to ride on the same flat route, in a few days, your body adjusts to the route. For greater results, change your routes by going for hilly routes. It goes without saying that climbing hills strengthen your muscles and burns more calories than riding on flat roads. While choosing a hilly road is rewarding, you need the best mountain bike that suits trail rides. Whether you want to climb the hill in the shortest time possible or you want to take it slow, alternating between the sitting and standing as you ride is effective. Both will increase your heart rate while strengthening your legs and upper body. 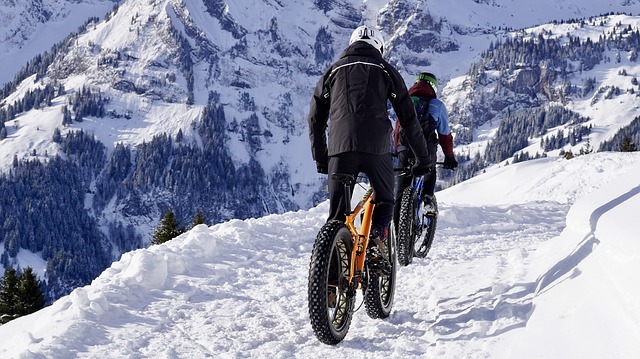 Moreover, since Mountain Biking requires a burst of energy, it will serve you when you have limited time to ride. Burning about 526 calories an hour at a speed of 15 miles per hour. You may mix up riding faster and a little slower but a faster ride burns more calories. Nevertheless, monitor your heart rate for safety. Going for rides that allow you to coast will not help you burn calories. When cycling to burn calories, you need to increase the heart rate. Cruising is inevitable on the downhill but, it reduces your heart rate and affects your calorie burn. Choose roads that will force you to pedal and thus realize your goal. If possible pedal a little faster than you did yesterday for better results. Not to say that you shouldn’t rest after taking that steep hill but make sure you balance each activity. Another option is to go for long rides once a week. Long pedaling rides help you to burn more calories and fats. Ensure your heart rate is maintained at a reasonably high rate for about two hours ride. Since you want to burn calories, your long rides will make you hungry and push you to eat unhealthy meals. Resist the temptation. 5. How about biking before breakfast? When you slept, your body went into a fasting mode. Taking a ride will help your body burn the dormant fat easily. Pushing yourself to ride on high intensity is the answer to burning more calories. For effectivity, avoid the bike path that is smooth and take on terrains that force you to use energy. Nonetheless, the distance and energy used matters when burning calories. Most people complain that they have no time to ride but, changing your schedule will fix everything. For example, instead of taking your breakfast at home, carry it to work or go buy your breakfast in the morning while biking. Note that your body needs energy so after the ride eat some healthy and hearty breakfast. Riding a bike for fun is easy for every other person but, cycling to burn calories require you to employ the above tips among others. If your doctor has confirmed that the exercise is appropriate for you, with determination it will take you a short period to burn excess calories. Pushing yourself beyond limits is key when burning calories. it’s said that nothing good comes easy. Pack your bags with enough water and some healthy snacks and take out on a ride. You see, aside from achieving your body goals, you will sightsee and bond with nature. Sometimes your soul needs it. Nevertheless, your safety on the road is essential. Buy your best bike and learn how to use it safely. 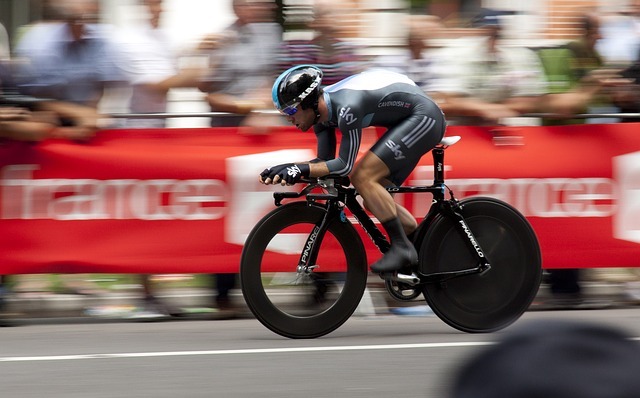 If you follow our above best way to burn calories by cycling tips, you will be successful for sure.